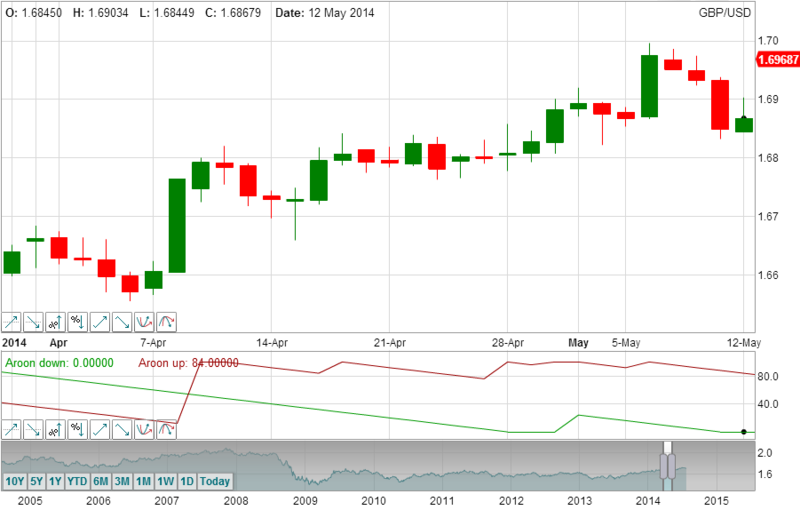 The Aroon indicator provides a measure of how many periods have passed since a new high or low has been set. The Aroon Up indicator displays the strength of the upward trend and the Aroon Down displays the strength of the downward trend. 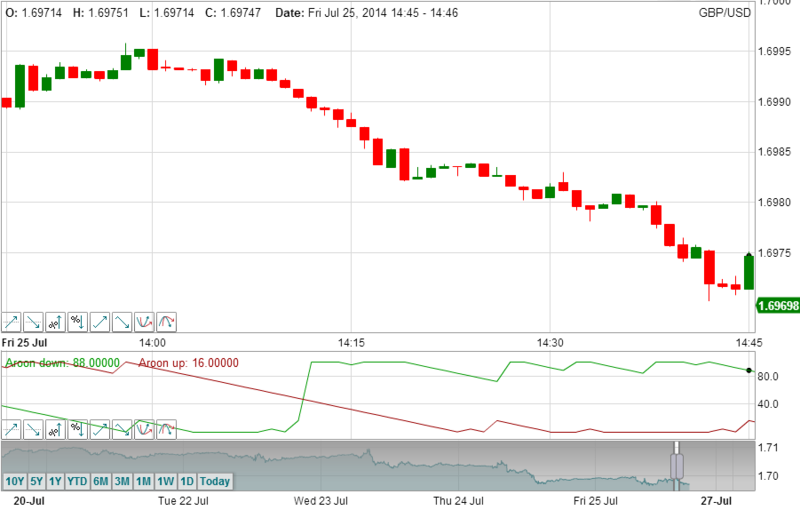 Learn more about the Aroon indicator. 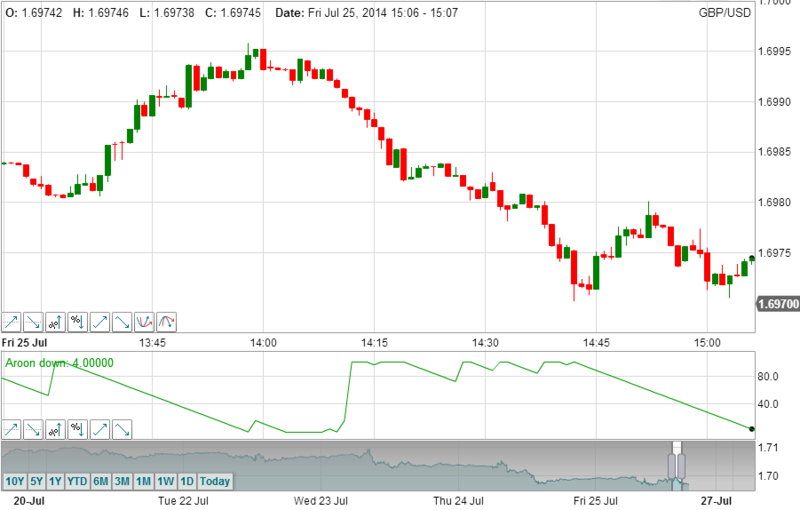 Rising Threshold Alert Trigger, is triggered when the value of the Aroon rises above a specified value. 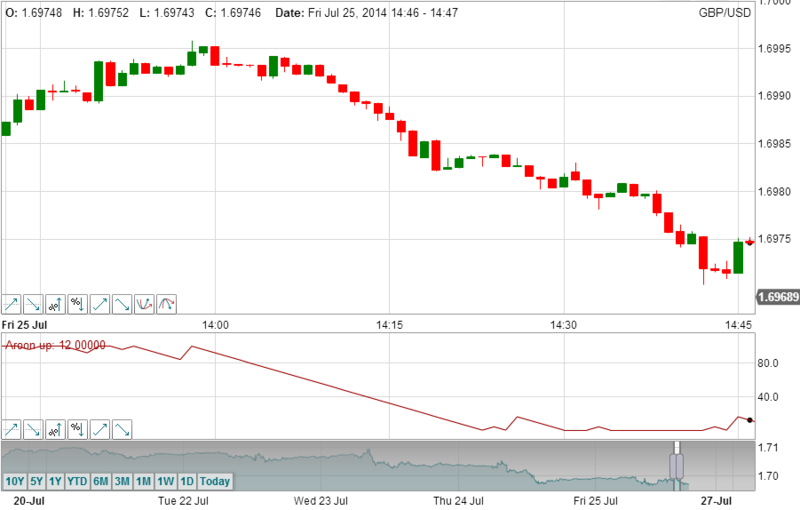 Falling Threshold Alert Trigger, is triggered when the value of the Aroon falls below a specified value. 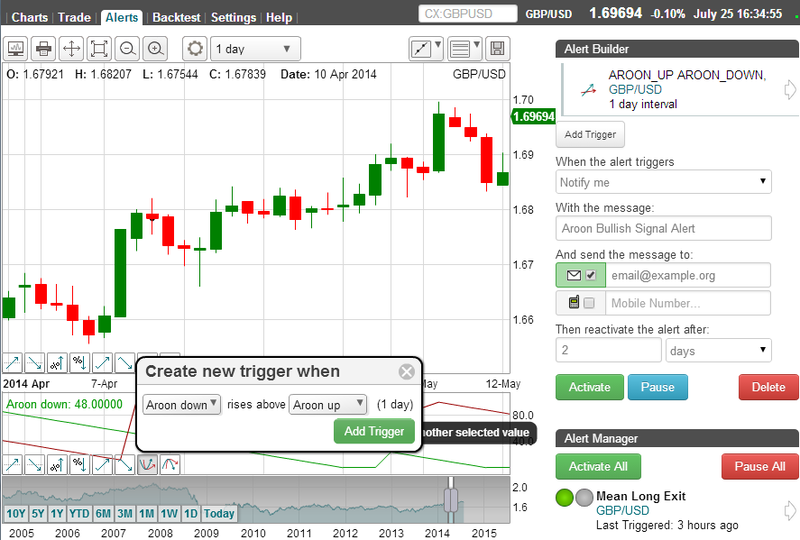 Break-Out Alert Trigger, is triggered when the Aroon increases by a specified value within a the selected interval period. 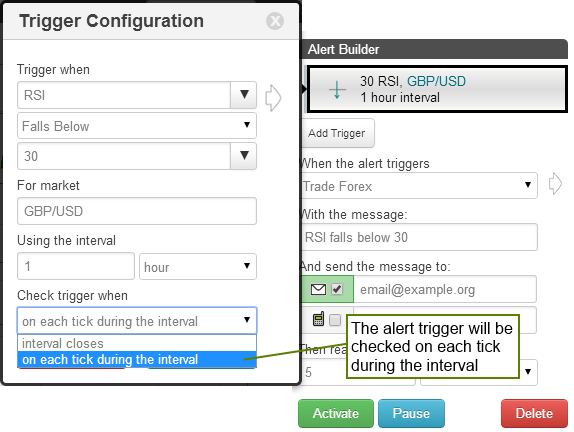 Pull-Back Alert Trigger, is triggered when the Aroon decreases by a specified value within a the selected interval period. 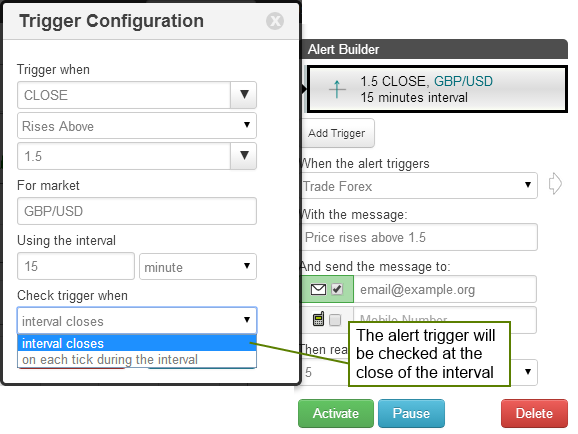 Percentage Break-out Alert Trigger, is triggered when the Aroon increases by a specified value within a the selected interval period. Percentage Pull-back Alert Trigger, is triggered when the Aroon decreases by a specified percentage within a the selected interval period. 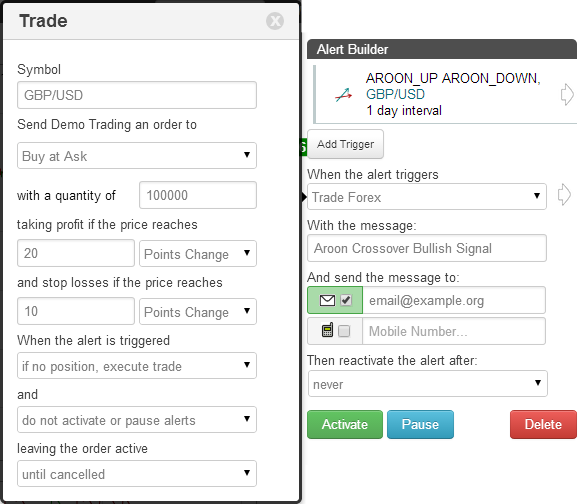 Above Alert Trigger, is triggered when the Aroon is above a specified value. 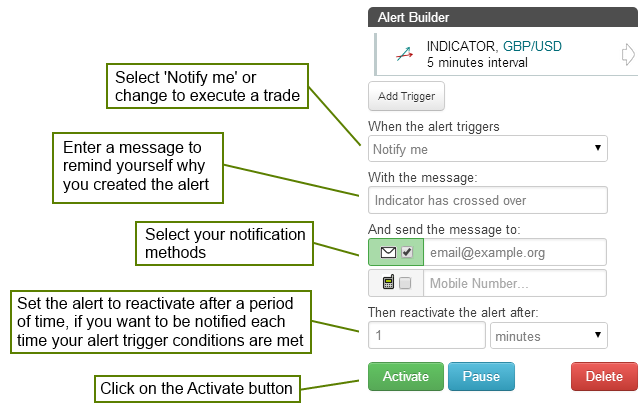 Below Alert Trigger, is triggered when the Aroon is below a specified value. Positive Crossover Alert Trigger, is triggered when the Aroon rises above / crosses over another indicator, price, a specified value or trend line that you have drawn on the chart. Negative Crossover Alert Trigger, is triggered when the Aroon falls below / crosses under another indicator, price, a specified value or trend line that you have drawn on the chart.